A meander of the Sugar River, providing an excellent waterpower opportunity, prompted Peter W. Matts to acquire acreage in Montrose Township in 1846. 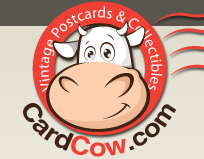 He erected a sawmill in 1847, soon followed by his home, a tavern and a general store. 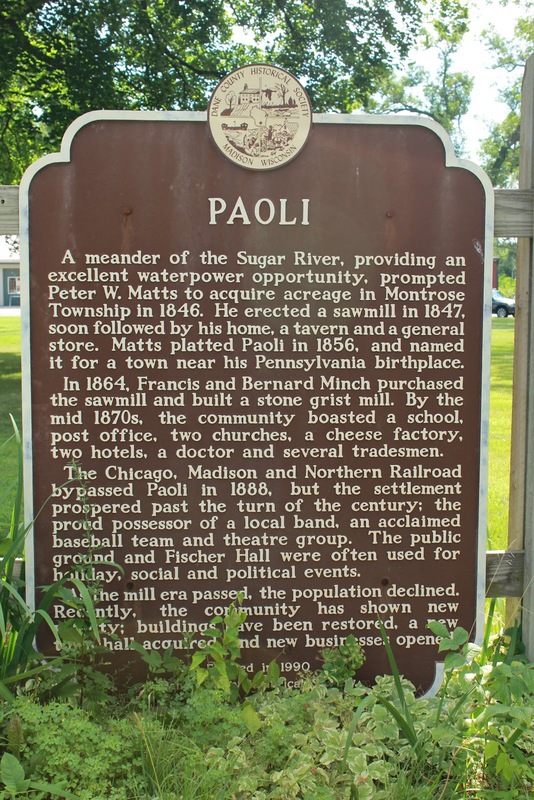 Matts platted Paoli in 1856, and named it for a town near his Pennsylvania birthplace. In 1864, Francis and Bernard Minch purchased the sawmill and built a stone grist mill. By the mid 1870s, the community boasted a school, post office, two churches, a cheese factory, two hotels, a doctor and several tradesmen. 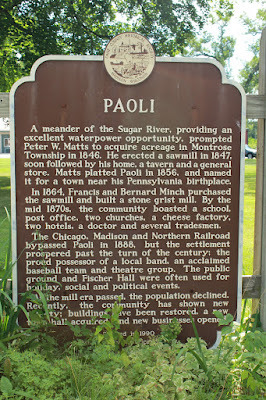 The Chicago, Madison and Northern Railroad bypassed Paoli in 1888, but the settlement prospered past the turn of the century; the proud possessor of a local band, an acclaimed baseball team and theatre group. The public ground and Fischer Hall were often used for holiday, social and political events. As the mill era passed, the population declined. Recently, the community has shown new vitality; buildings have been restored, a new town hall acquired, and new businesses opened. 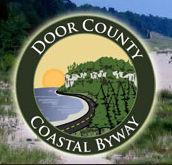 The marker is located at Paoli Park on northbound County Highway Pb, just north of its intersection with Harrison Street, Belleville, Wisconsin 53508. See also, Paoli Veterans Memorial, also at this location. Lovely Saint William Church, across from the marker location. The marker is located at Paoli Park in Belleville, Wisconsin.